In 2018 we plant 30.000 trees with 54 forest ranger families (you can see the location in the pictures). 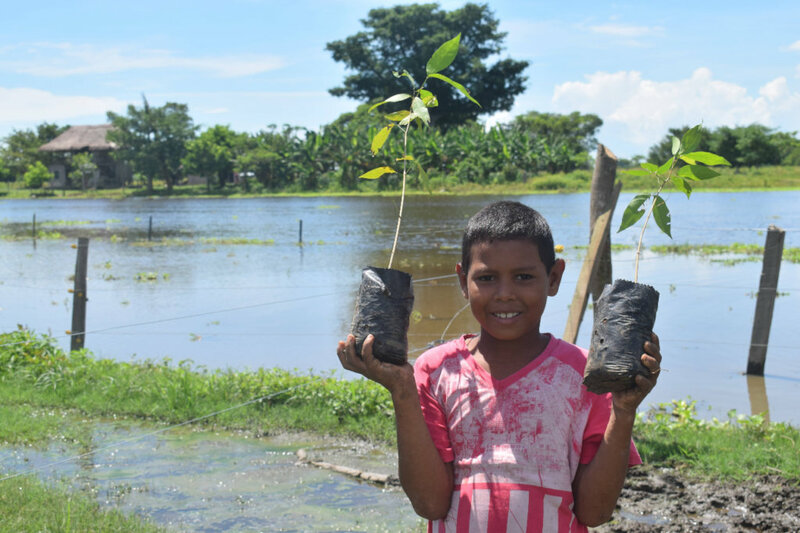 This year we need your help to plant 100.000 trees, that is our goal and is only possible if you help us. Thank you for all your support last year, this year we would like you to make a new donation to keep restoring the Ayapel wetland. 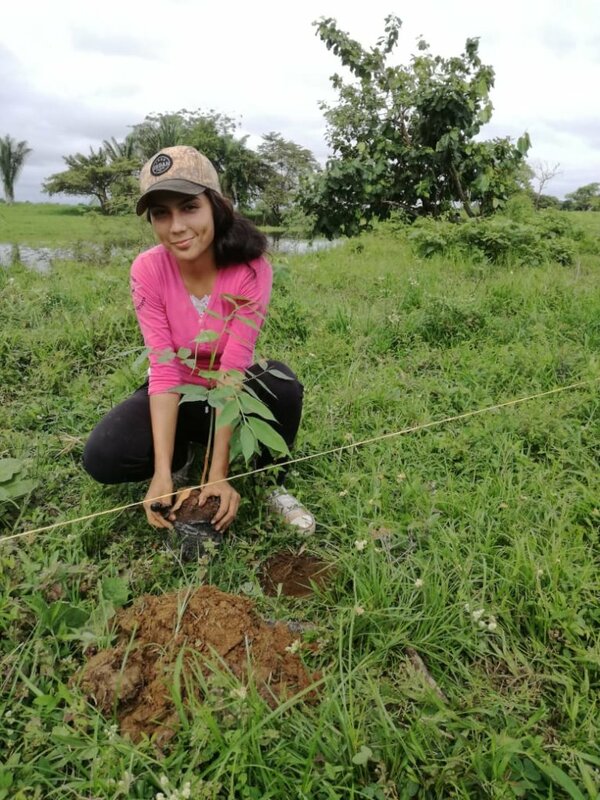 En 2018 plantamos 30.000 árboles con 54 familias guardabosques (se puede ver la ubicación en las fotos). 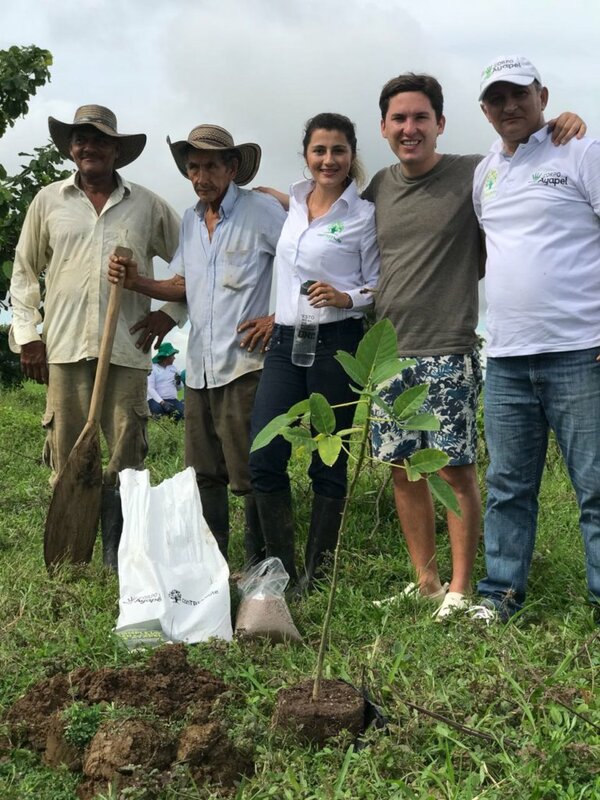 Este año necesitamos su ayuda para plantar 100.000 árboles, ese es nuestro objetivo y solo es posible si nos ayudas. Gracias por todo tu apoyo en el 2018, este año nos gustaría que hicieras una nueva donación para seguir restaurando el complejo cenagoso de Ayapel. Este año ha sido increíble. 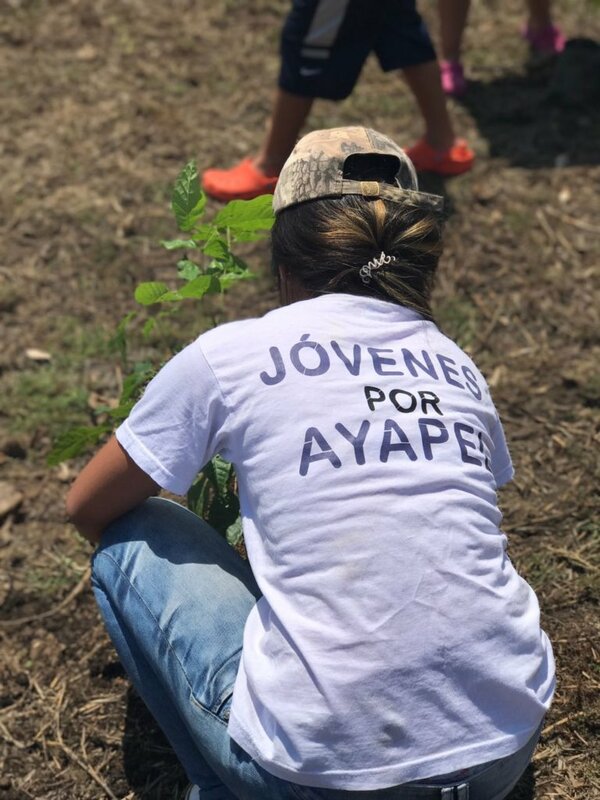 Logramos pasar del sueño de rehabilitar la ciénaga de Ayapel a las acciones. 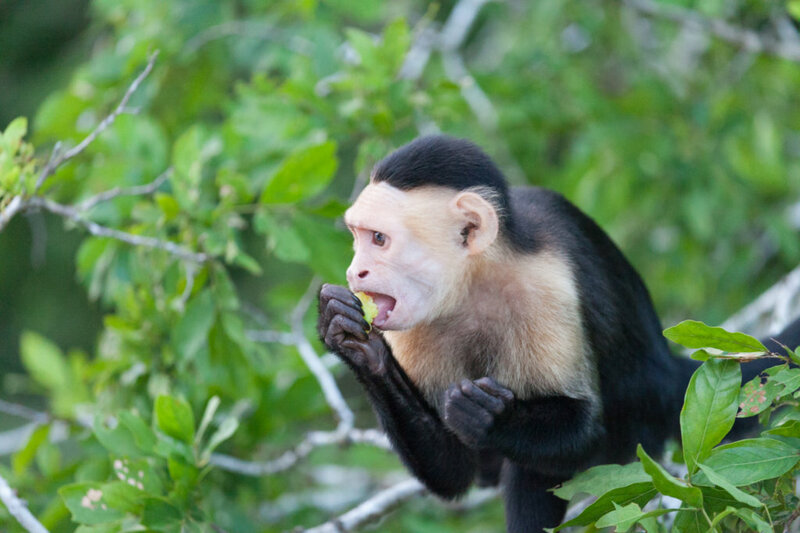 Pasamos de soñar con tener un vivero de especies nativas a producir más de 30.000 árboles que están llegando a la ciénaga. 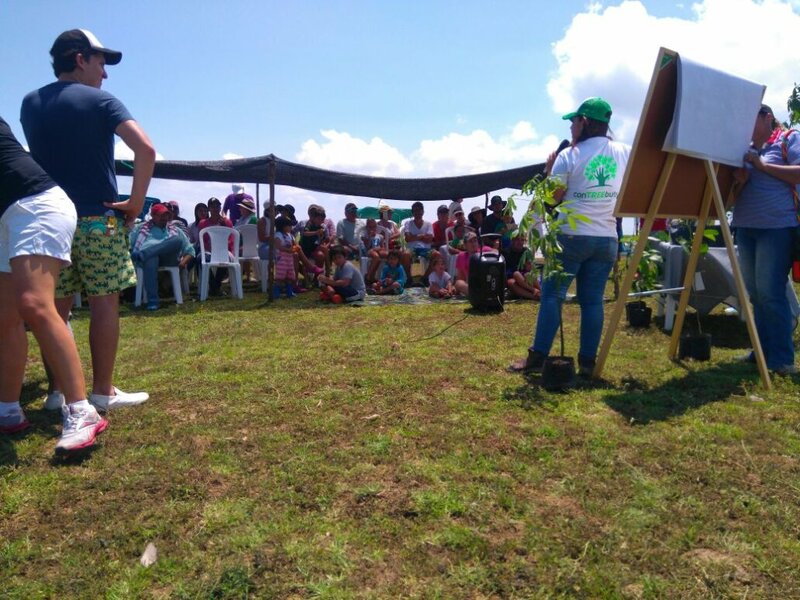 Pasamos de pedirle a las familias que cuidaran la ciénaga a generar acuerdos conjuntos con 54 familias guardabosques que se comprometieron a sembrar y cuidar los bosques que se están generando. Logramos que las fincas entendieran que si ellos no se comprometen con la ciénaga y siembran en sus lotes, no vamos a recuperar lo que un día nos enamoró de Ayapel. 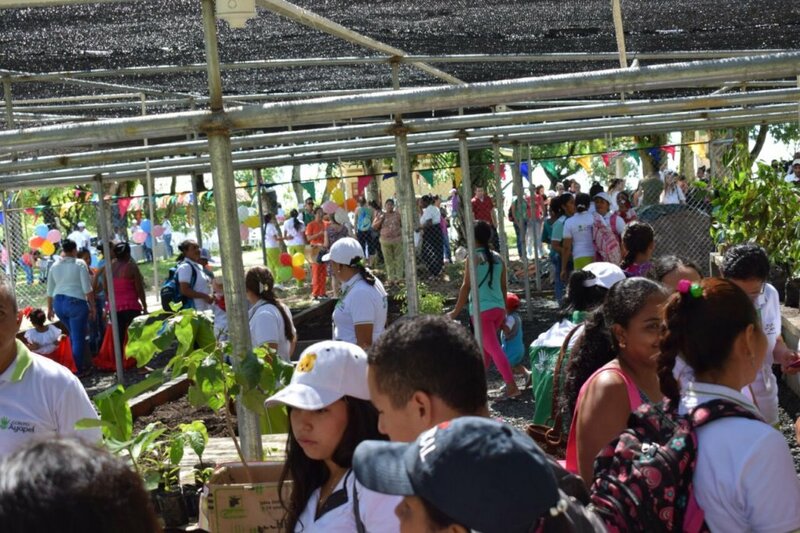 138 personas nos han donado a través de GlobalGiving pero pueden ser muchas más. Invitemos un amigo o un familiar a que done o vinculémonos con un débito automático. 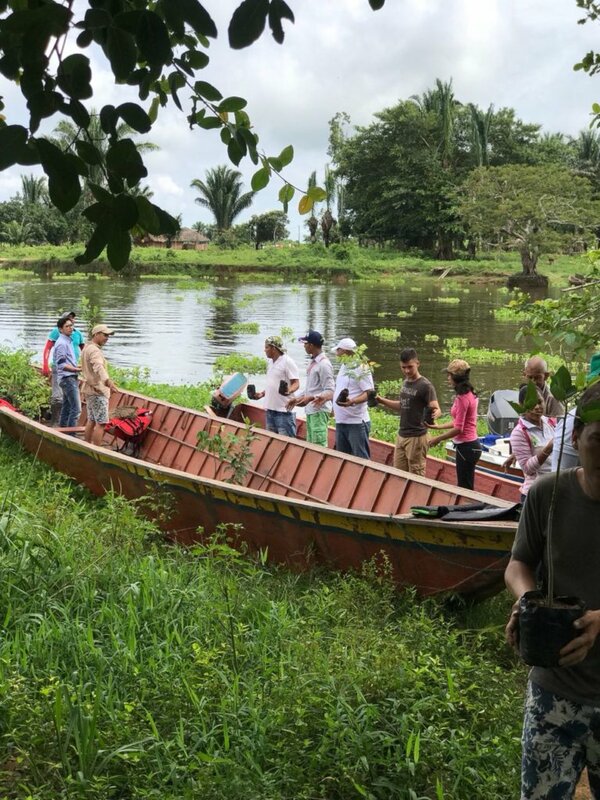 Invitemos a que todas aquellas personas que visitan la ciénaga de Ayapel hagan su aporte para conservar este paraíso. 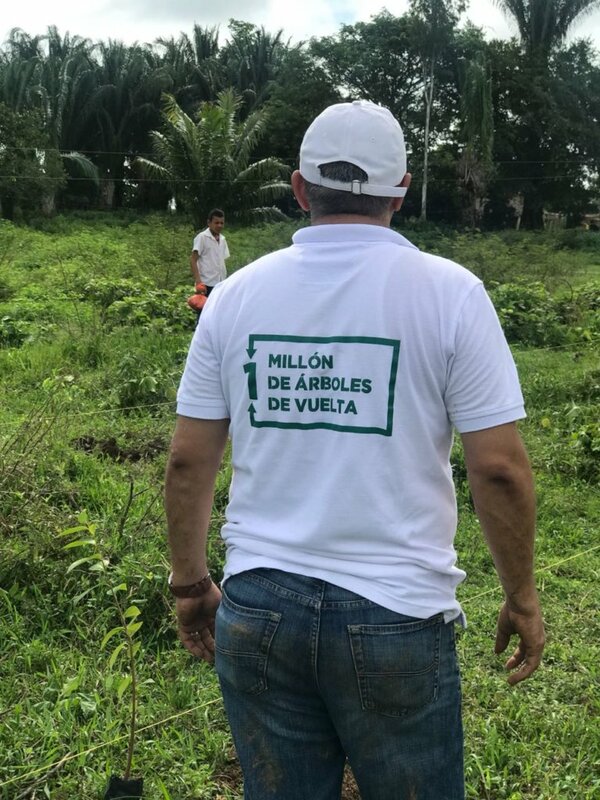 Un millón de gracias porque gracias a ustedes estamos haciendo posible la restauración de la ciénaga de Ayapel y de su comunidad. This year has been incredible. 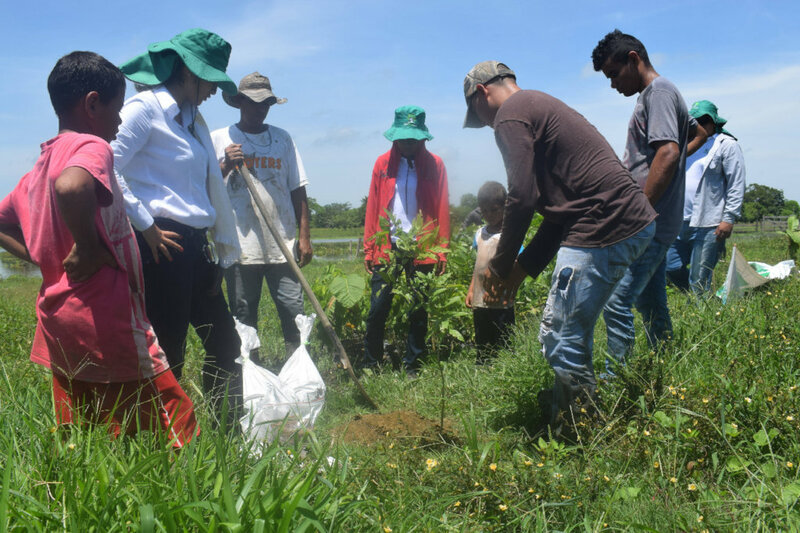 We managed to go from the dream of restoring the Ayapel swamp to the actions. We went from dreaming of having a nursery of native species to producing more than 30,000 trees that are reaching the swamp. We went from asking families to take care of the swamp to generating joint agreements with 54 ranger families that committed to planting and caring for their forests. We managed to get the farms to understand that if they do not commit to the swamp and plant trees in there places, we will not recover what one day made us fell in love with Ayapel. 138 people have donated through GlobalGiving but there may be many more. Invite a friend or a relative to donate. 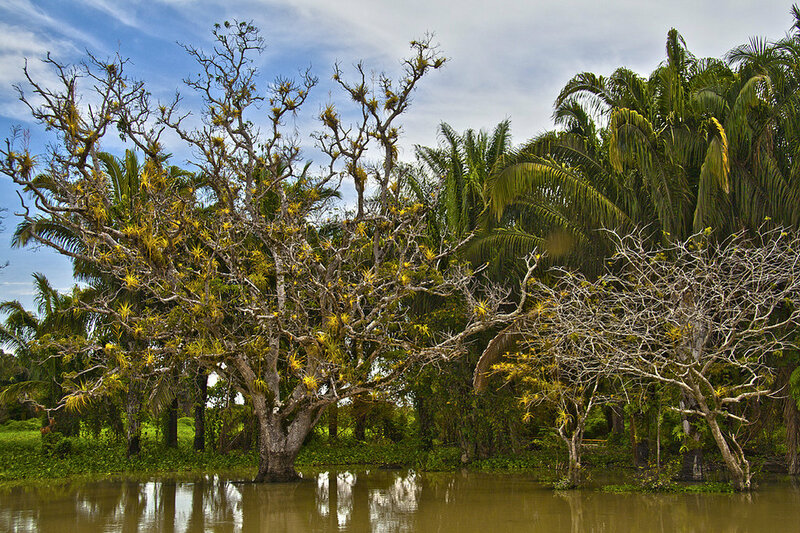 We should invite all those who visit the Ayapel swamp to contribute to preserve this paradise. 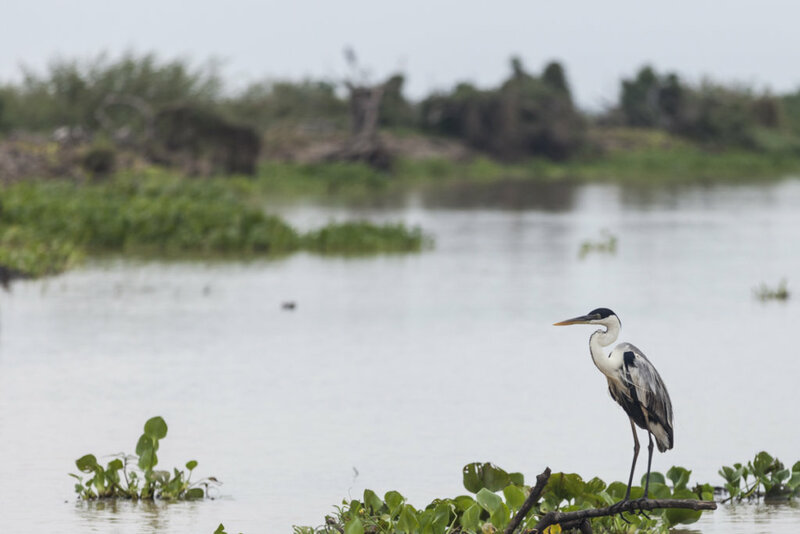 A million thanks, we are making possible the restoration of the Ayapel swamp and its community with your help. Our dream of planting 1 million trees is getting closer and closer. 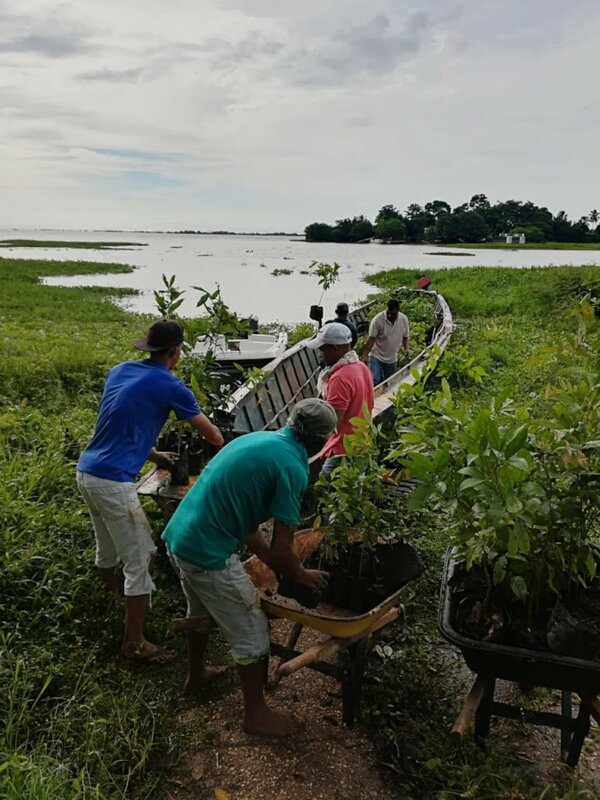 In 2017 we managed to build the nursery of native species, we were able to start the production of the first 30,000 trees and prepare them to reach the Ayapel swamp. But 2018 is the year in which we started sowing in territory with our Ranger families. We are doing very well and we want to thank you for trusting Corpoayapel. 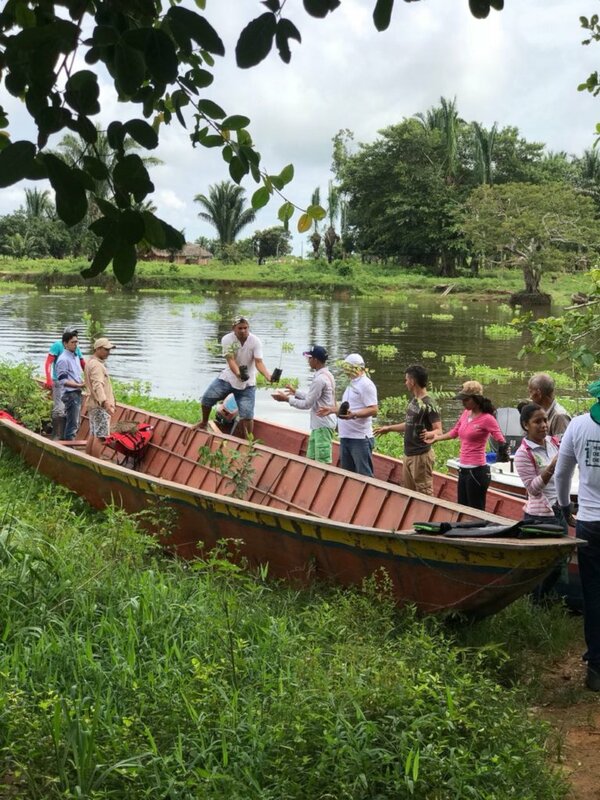 The first thing we did this year was to invite families of fishermen and farmers to sign up for the project, then we visited the farms on the banks of the swamps, we defined the lots and the species that we were going to plant. But the most important thing was missing and is to start sowing with the community. 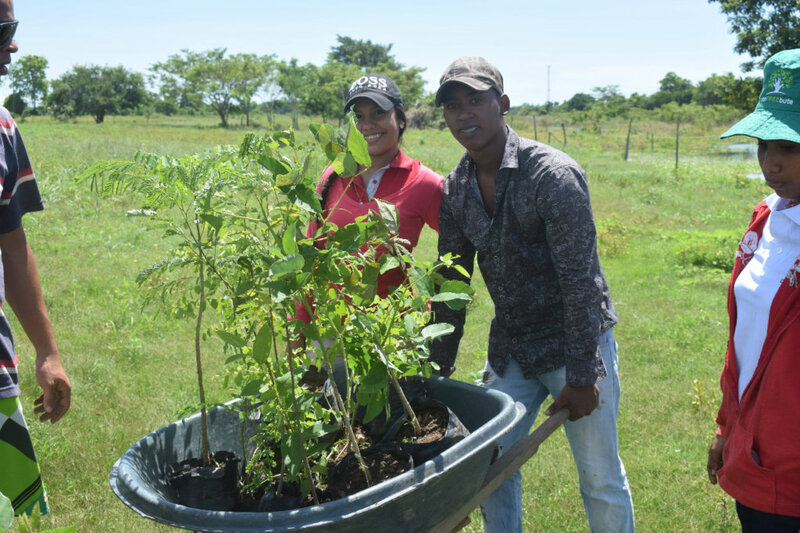 To date, we have planted 2,300 trees and by the end of July we will see the first 10,000 trees planted. 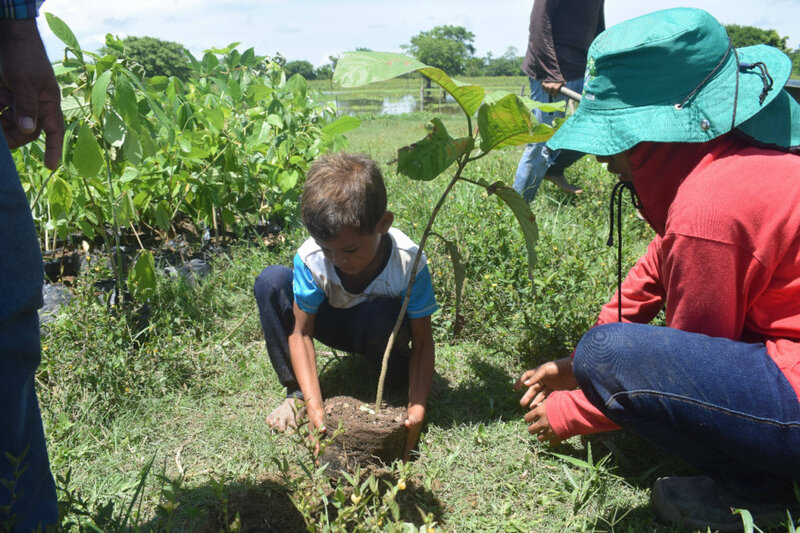 In November we will have planted the first 30,000 trees. We hope that many more people around the world will come together and help us to rehabilitate the second most important swamp in the country. 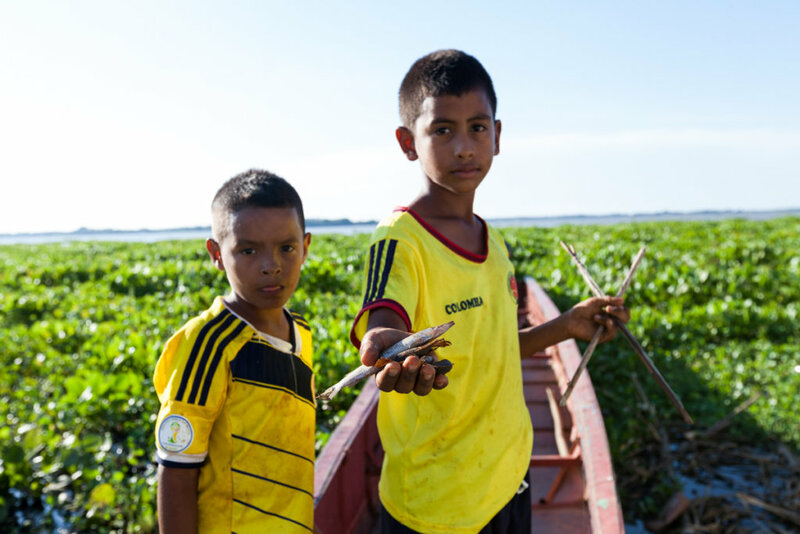 We must ensure that one of the 10 RAMSAR wetlands in Colombia has recovered and this is only possible with the support of all. 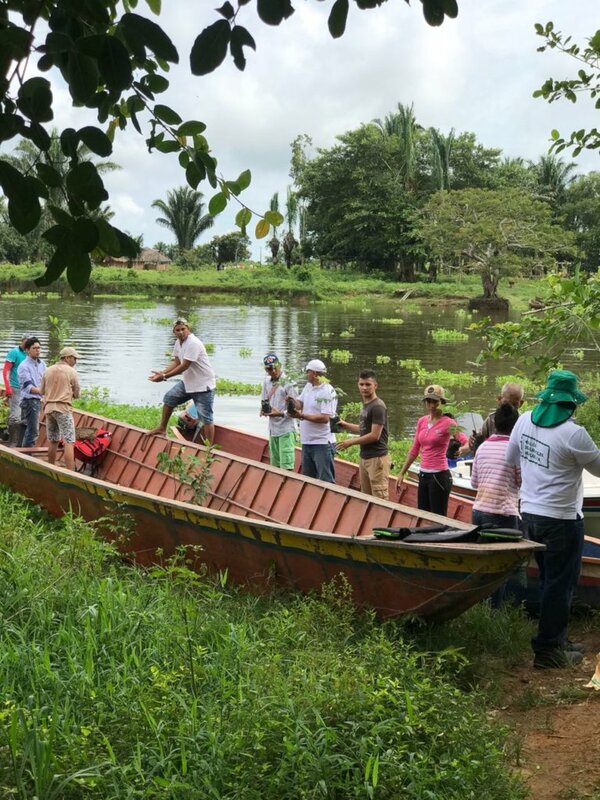 Here are some photos of the work we are doing with the communities and we want to invite all donors to share with friends and family so they can also link with the resources they can. 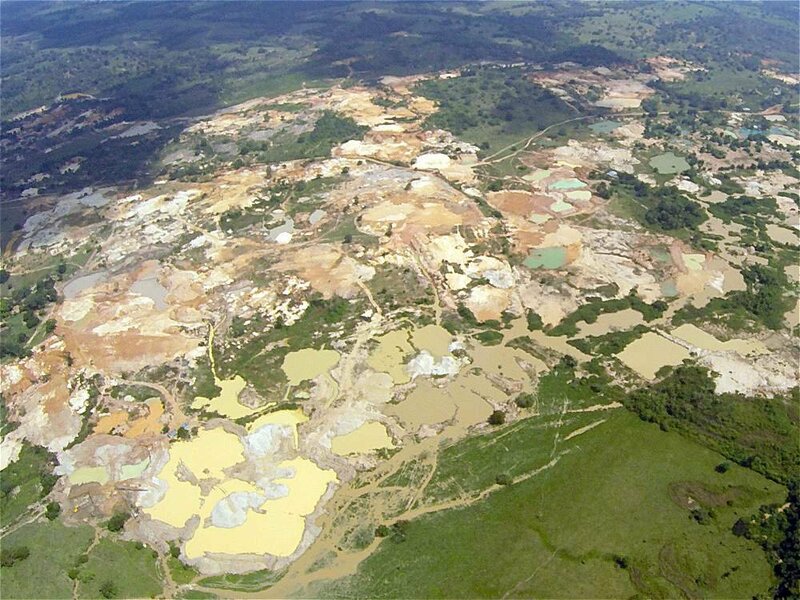 It is very easy to help and generate a giant impact on one of the most important ecosystems in the world. 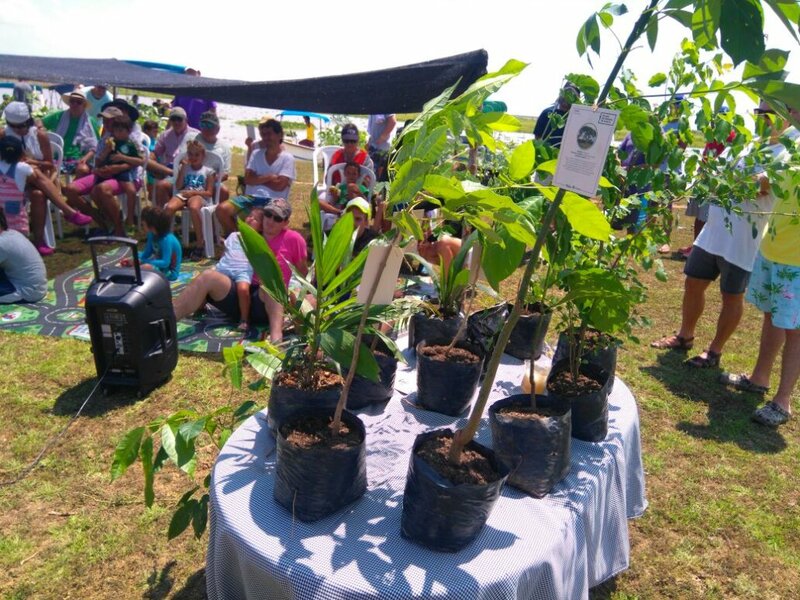 Corpoayapel is a non-profit organization promoting sustainable development of the Ayapel Marsh Complex and associated communities. 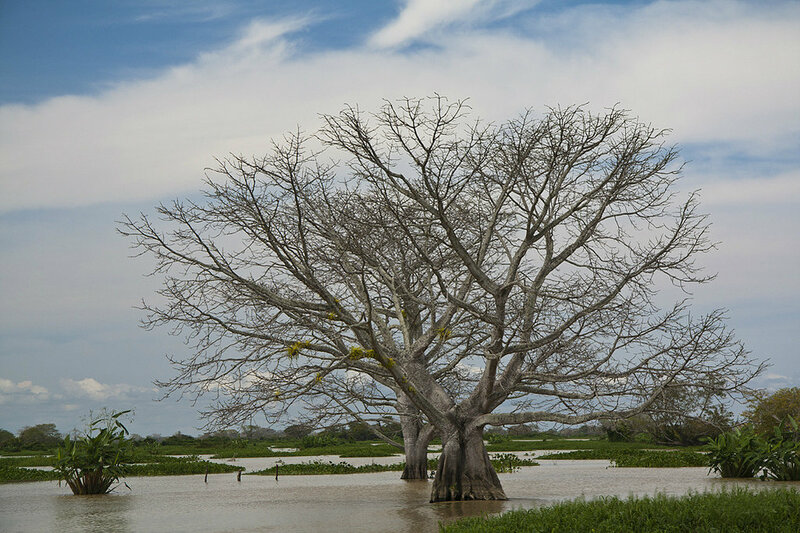 The Ayapel Marsh Complex is only second in importance to the Ciénaga Grande de Santa Marta. 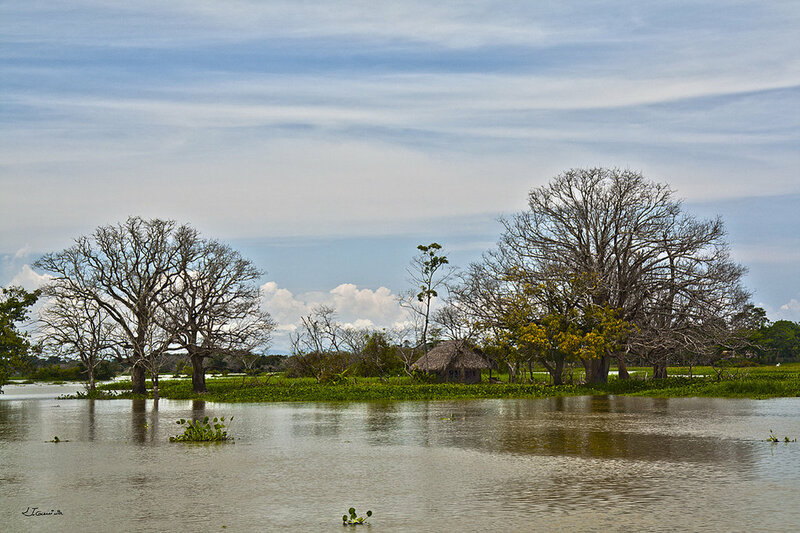 Ayapel marks the easternmost limit of the Mojana Depression, the most important floodplain in the country. Its great biodiversity includes 194 bird species, including 64 migratory species that arrive from the United States and Canada every year. 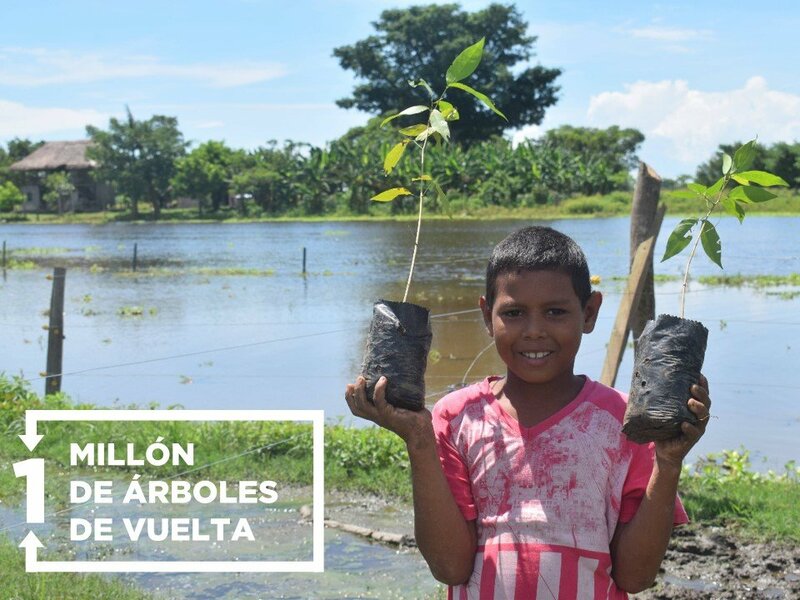 CORPOAYAPEL set out to chase a dream and named it “Un millón de árboles de vuelta” (Bringing a million trees back). 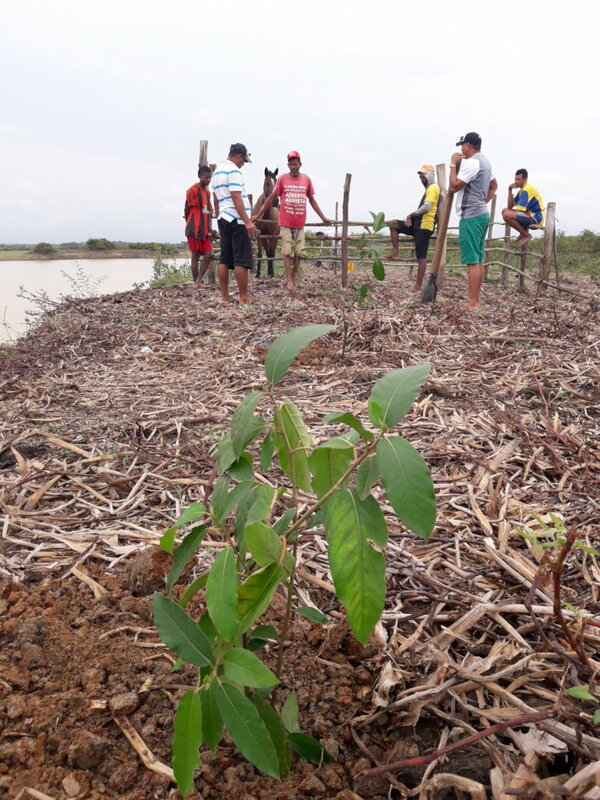 Aiming at rehabilitating in a participatory manner the Ayapel Marsh Complex, the project foresees the involvement of local and external actors in the recuperation, preservation and protection of the area’s natural ecosystems. 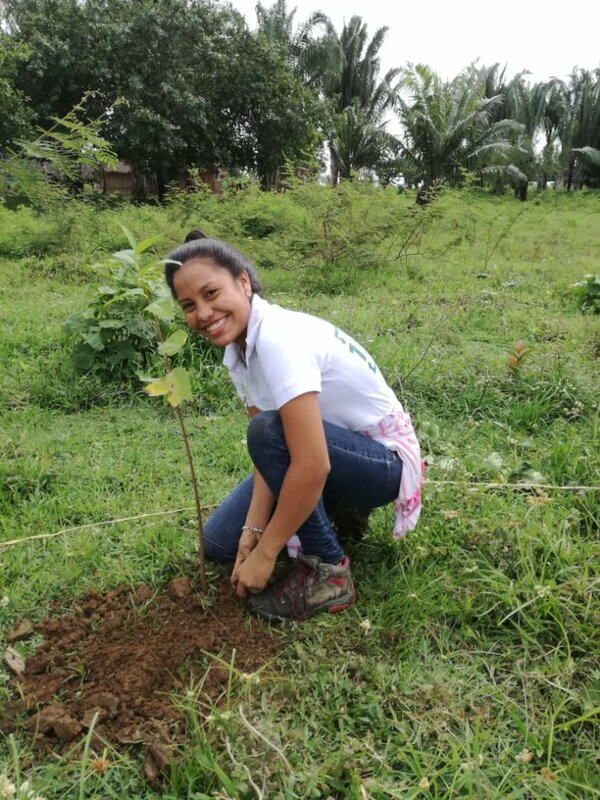 In 2017, we were granted USD $11,212 from different individuals who donated through GlobalGiving to enable us to nurse 3363 trees to be planted between April and May, 2018. 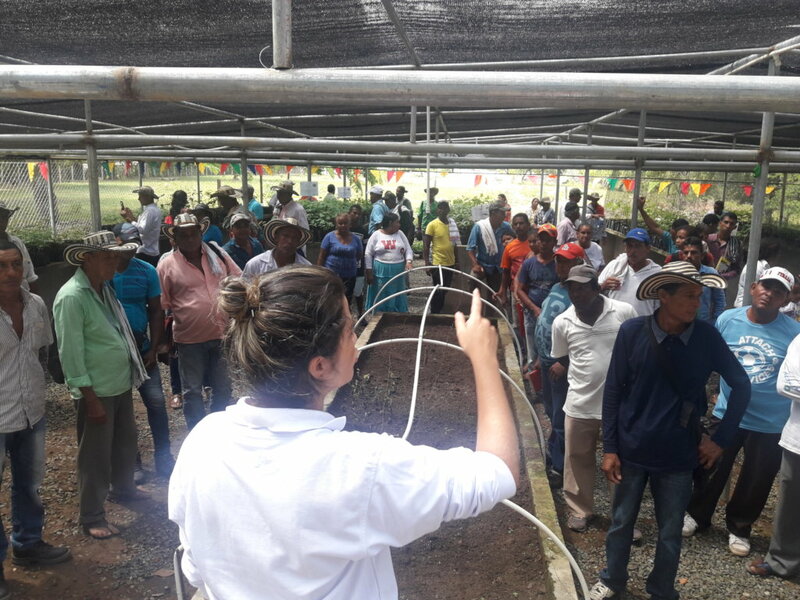 Seeds collected and shared by the community were used to this end and, most importantly, 34 forest-keeping families will care for the seedlings and see they develop into fully grown trees. 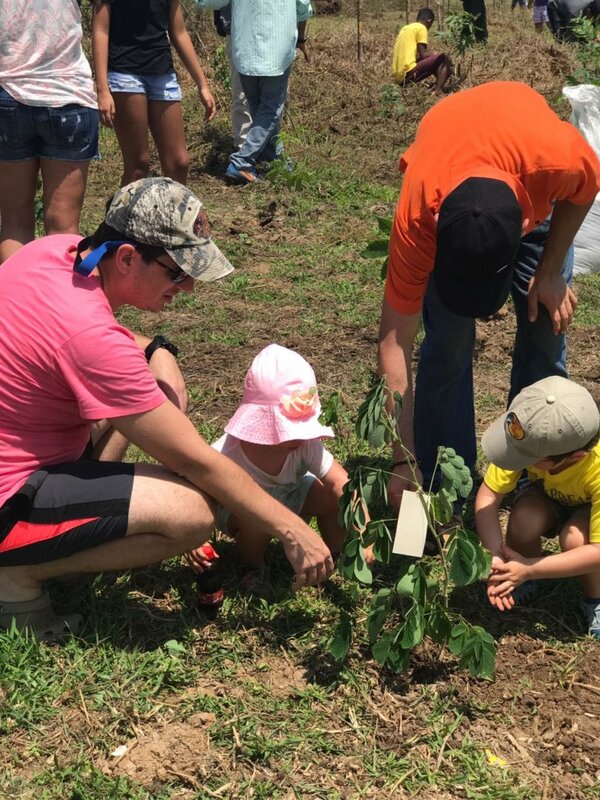 Families will receive economic incentives for their efforts in transplanting and caring for the trees, ensuring further commitment to fulfill for our initiative. Chosen families live on the banks of canals and tributaries of the wetland system. The organization realized the environment was a major issue in Ayapel. 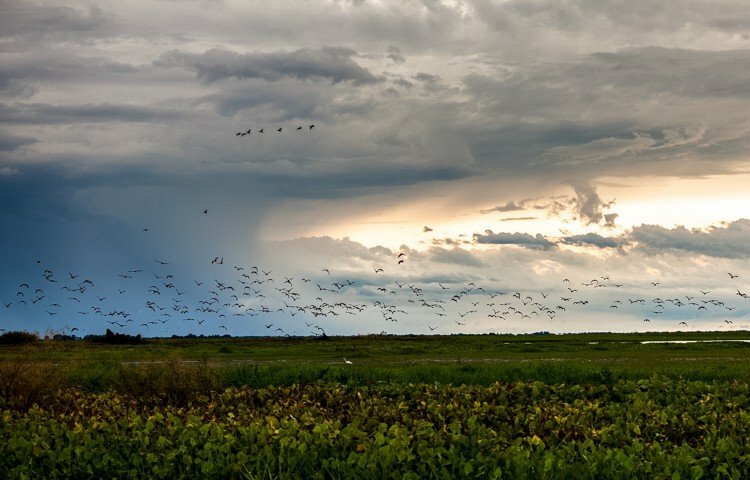 A large-scale strategy for leading and articulating entities at the local, regional and national levels was required to achieve the protection and rehabilitation the marsh complex requires. 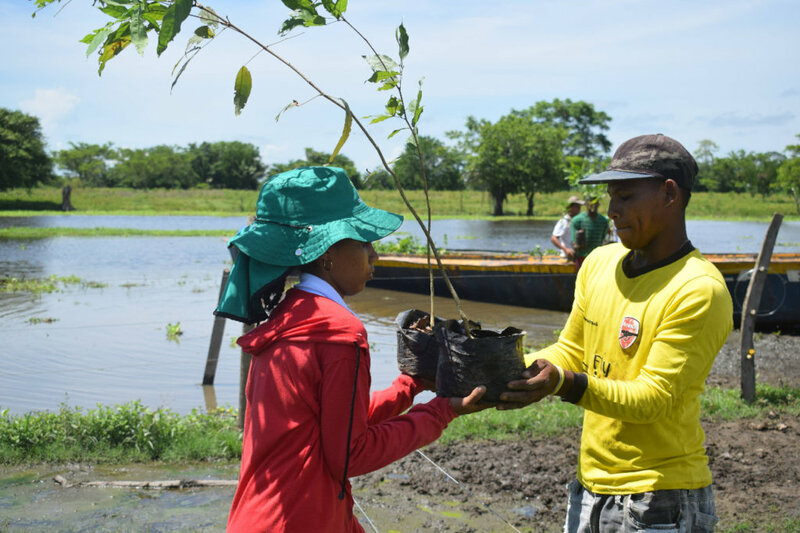 To this end, we took advantage of existing initiatives and established four action lines: rehabilitation research; RAMSAR conservation implementation; participatory restoration; and environmental education. 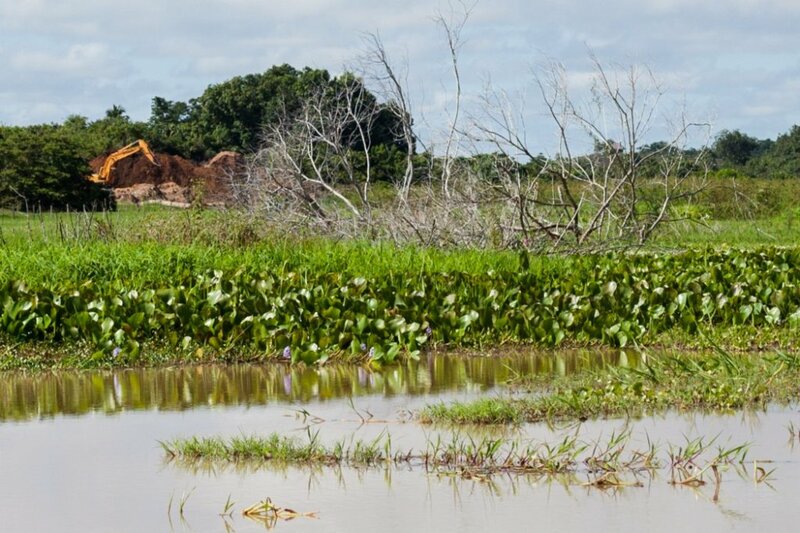 On February 2, 2018 and in the context of the World Wetlands Day, the Minister of Environment of Colombia, Luis Gilberto Murillo, declared the Ayapel Marsh Complex a protected area under the RAMSAR Convention. 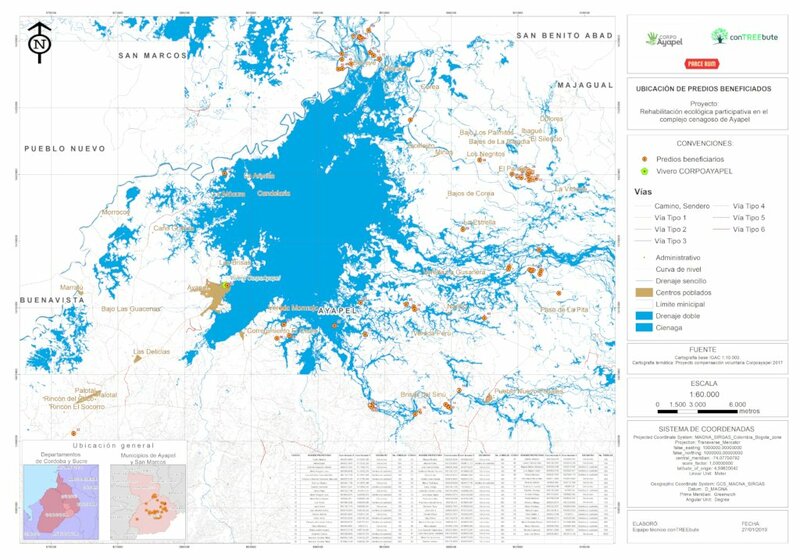 Thereby, Colombia entered a commitment involving all of its governmental bodies and agencias to protect and recuperate the wetlands and floodplains of Ayapel. Moreover, it opened the door for Corpoayapel to access international cooperation resources. ON 2017, Corpoayapel decided to move forward, to turn research into action. We forged a partnership with conTREEbute and created a sound plan to bring back one million trees to the marsh. ConTREEbute has also been a valuable ally in securing funding to make this now-shared dream come true. 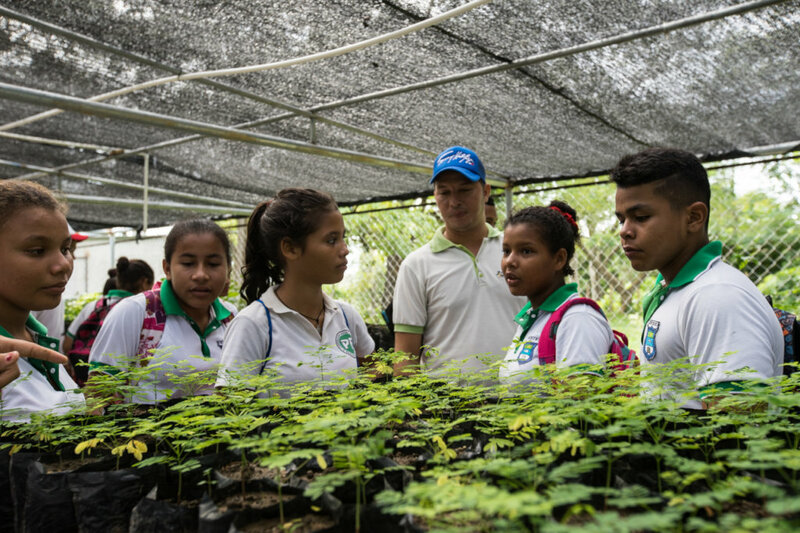 SURA Group, through Fundación SURA, made a first contribution for COP $100 million. This made possible the design and creation of a tree nursery, along with all the necessary logistics to begin production of tree saplings of native species. Today, 10,000 saplings have matured and are ready for transplantation, to be carried out between April and March. We are looking forward to getting the necessary funding to nurse and plant over 50,000 trees in 2018. Students learning about "million trees back"